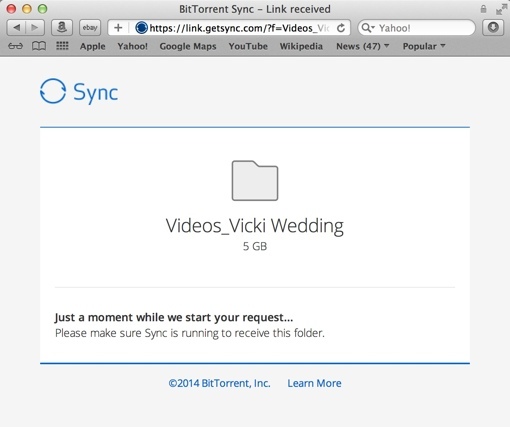 Since Sync uses encrypted peer-to-peer connections to support downloads, transfer speeds are maximized and there's no restriction on file sizes. The only limitations are the speed of both parties' home networks and their broadband speeds. Sync also keeps files out of the hands of third-party cloud storage sites, which adds legal protection against secret government data requests and NSA backdoors.